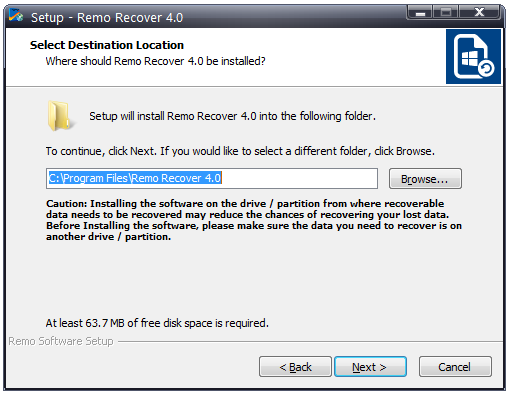 How to Install REMO Recover (Windows) Pro Edition? 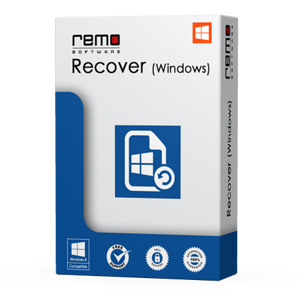 REMO Recover (Windows) Pro Edition software allows you to recover all the desired files from different brands hard drives in matter of few simple steps. This utility provides easy to use interface to recover files in four stages. 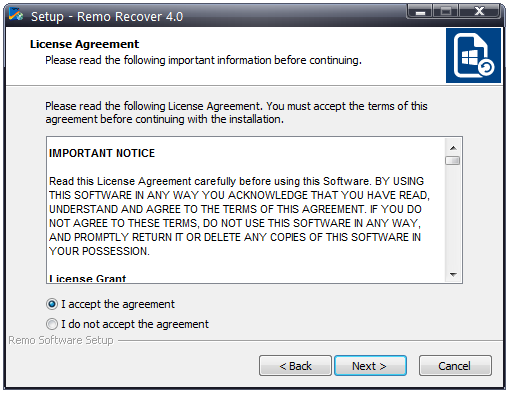 All you need to do right now is download and use REMO Recover (Windows) Pro Edition software. 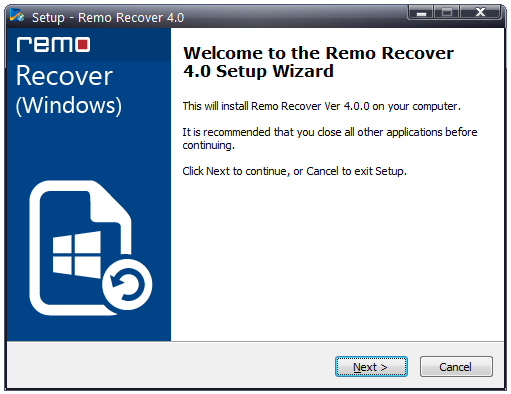 Download the REMO Recover (Windows) Pro Edition software on a drive that is healthy. Also make sure that the drive selected by you isn’t the one which is facing data loss. Once software is downloaded, follow below mentioned steps to install it on Windows PC/laptop. 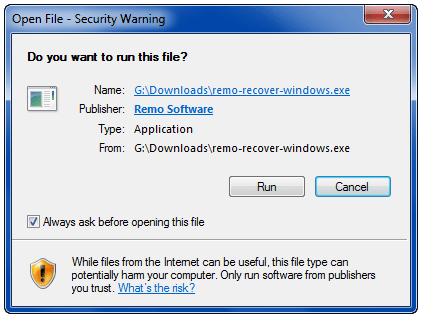 Step 1: First double click on REMO Hard Drive Recovery software exe file. Step 2: Next, select “RUN” option to start the installation process. Step 3: Click on “Next” button in order to proceed further. Step 4: On the next screen of the wizard, accept the End User License Agreement and press “Next” button. Step 5: Select location of installation file and press "Next" to proceed further. 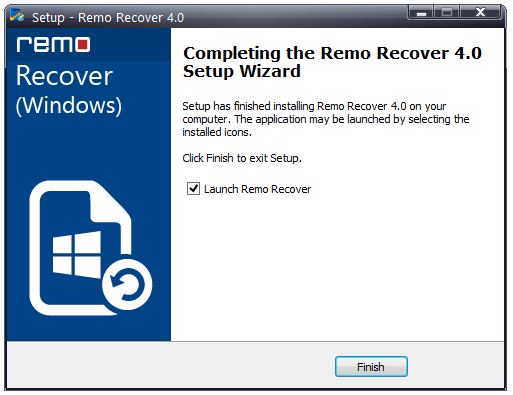 Step 6: Press “Finish” button in order to complete REMO Recover (Windows) Pro Edition software installation process. Finally, REMO Recover (Windows) Pro Edition is ready for use.